If you've read our blog for a while, you know how much we revere artists able to incorporate several of the four P's (prog, psych, punk and pop) in the same song. That translates to pretty high hopes for Kitten Pyramid. There is this terrific article in the current New Yorker Magazine about the singer Darlene Love. Love is one of the subjects of a new documentary getting excellent reviews "20 Feet From Stardom" about great backup singers. We will see this film at our first opportunity and you should too. Meanwhile, check out this recent performance by Darlene Love of "Lean On Me" on David Letterman. Wow. I cannot get my head around the fact that Phil Spector had Love sing the vocal on the classic 1963 hit "He's A Rebel" but then credited the song to the Crystals. It's Darlene Love appreciation day here at the Soul Corner and WYMA. The music keeps on coming. The playlist for May 2013 is a 643 song sonic sampler for the month. Hit play and put it on shuffle. The second Spotify playlist is for the first 5 months of 2013. Our ears have collectively listened to 2,800 tracks. A summer playlist by anyone's standards.Enjoy the fruits of our passion. 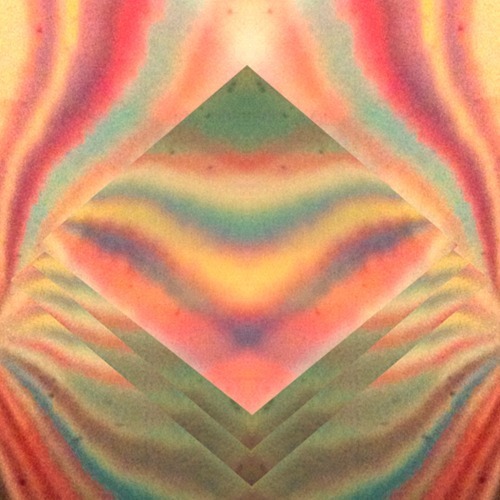 Reverberation Radio is a weekly gift which keeps on giving. This week is a trip into a dreamworld spanning decades and continents. Click on the artist's name and find out more from other web sites. The primary purpose of this post is to feature "Here She Comes", a smashing song from Ghost Wave. The track features assured, exuberant guitars, and a great bass line high in the mix. There is a bluesy rock and roll vibe that suggests a good dose of justified swagger. As I wrote to several of my co-contributors, it sounds so dirty in a very good way. But the subtext here is that Ghost Wave will be releasing their debut LP, Ages, in the US via Flying Nun in late August; it is out today in the band's New Zealand home. Based on the taste we get from "Here She Comes", we are very much looking forward to the album. Big week for our friends in Chicago with their exciting Stanley Cup victory. So who better to be this week's Friday Nuggets entry than the Shadows of Knight who ruled the garage rock roost in the Windy City in the mid to late '60's. They were best known for their cover of "Gloria". New video from Fortress Social Club - "Business By Day, Business By Night"
Business by Day Business by Night from Fortress Social Club on Vimeo. The album is out now and you can check it out and learn more at their website. Seattle's Neighbors crank out crunchy and jangly power pop and garage rock with just the right dose of melody and pop sense to hold it all together. Moreover, they have a certain appealing confidence. The listener gets the sense that the knows that they can write and perform, and they certainly know that they can bring the noise. 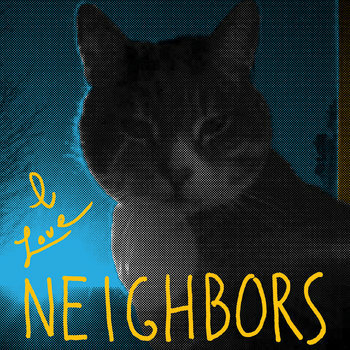 However, to seal the deal, they are providing a digital download of their new EP, I Love Neighbors, at the attractive introductory price of "name your price". I think that is very neighborly of them. The EP consists of five tracks, and the quality is so uniform that I had trouble deciding which track to include in this post. "Accessory" won the prize, but I encourage you to check out the entire EP at the Bandcamp link. This brand of melodic up-tempo garage is too rare these days, especially when done this well. For the EP, Neighbors consisted of Jose Diaz (vocals, guitar, production), Nathan Anderson (drums), Jacob Jaffe (bass), and Adriano Santi. There were rumors that Adriano was decamping for California, so he may or may not still be a participant. Los Angeles quartet Holy Folk is a collaboration between songwriters Keith Waggoner, Josh Caldwell, Ryan George and Jonathan Hylander. The band began in 2009 with Caldwell and Waggoner, who at the time, played together in the band, Les Blanks. George and Hylander joined the effort in 2012 and began contributing material to what would become Motioning. Somewhat similar to fellow LA residents The Fortress Social Club that we reviewed recently, Holy Folk grew from a studio collaboration into a rock band with a lot of variety in style and tempo, a ton of talent and a way with pop hooks. There's something about studio musicians getting together to put their own ideas on record - they bring not only a familiarity with different styles, but a real sense of purpose that shows through in the music. All four of them write, and that contributes to the variety of sounds and styles on Motioning. 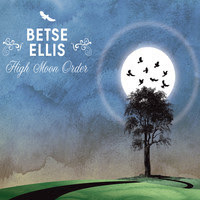 The opening track "A Moment Here" is reminiscent of The Nitty Gritty Dirt Band or The Band, with pedal steel, banjo, violin and slow and easy harmony vocals in a song about reaping and sowing. "Time Lapse" has a more pop style, with more synths than the opener, and soulful vocal harmonies that would not be out of place on something by Brian Wilson or Todd Rundgren. Track 3, "All's Forgotten" is an uptempo country rock tune with emphasis on electric guitar, piano and a pretty much straight-ahead rock vocal. And the record carries on in similar fashion, swinging back and forth from up- to down-tempo, some songs featuring swells of strings and others more straight-ahead rock instrumentation. The common factor, other than the overall high quality of the songwriting, is that most of the songs feature some terrific vocal harmonies. It's clear that these four enjoy working together, and that makes for a very enjoyable debut record. Holy Folk is absolutely a band to watch. It's not often a debut album arrives with this kind of variety, quality and assuredness. Motioning is available now - you can listen to it, and learn more, at their website. And now we bring you Astro Children. No, Astro Children isn't a new morning cartoon or underground comic book. 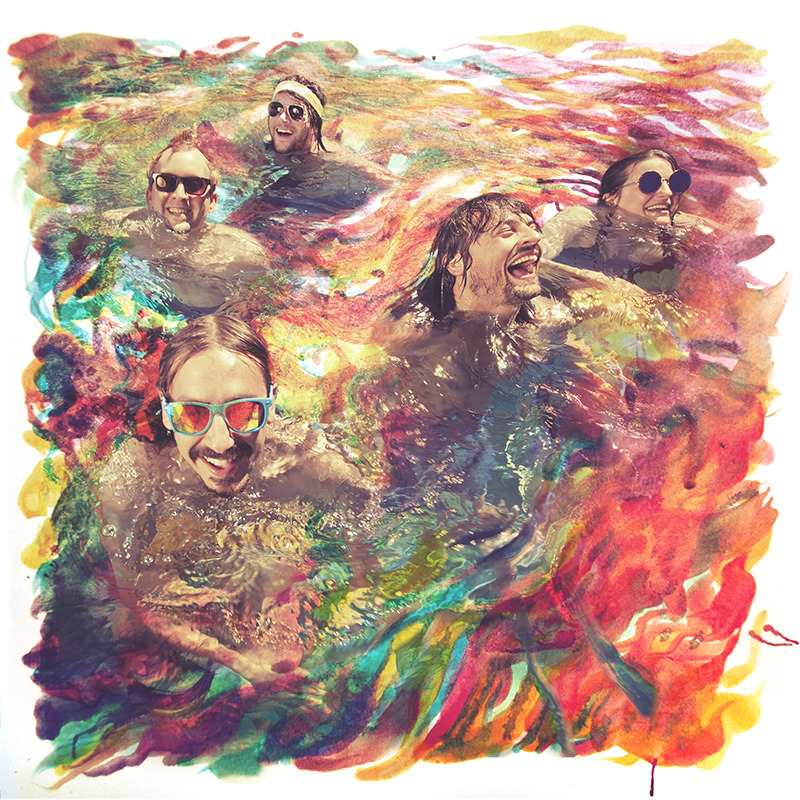 It is a band from Dunedin, New Zealand, who appears to believe that music should be fresh, fun, relatively unrestrained, and young at heart. (In addition, of course, to making them, us and everyone else involved with the indie music industry fabulously wealthy.) And one doesn't need to read the band's mission statement and core principles to discern their intent -- just watch the video for "The One We Start With", the opening track from their self-released EP Lick My Spaceship. Lick My Spaceship is the kind of record that can make you look foolish trying to describe it, but I have a job to do, and I'm going to do it (my insurance is fully paid-up). To my ears the songs have a punk/garage core with predominant shoegaze and psychedelic delivery. I particularly like how the noisier numbers have some rough edges and a touch of chaos; I suspect these kids are great fun in a live show. However, "Interlude is a charming, all-too-brief, bit of sonic noodling. And the acoustic "Humiliation (Encore Song)" is a highlight track, so as a public service, we have embedded a stream of it below. The band's sense of humor is evident in the sing titles. The opening track is "The One We Start With". "Interlude" is an interlude. "Humiliation (Encore Song)" is the song to be played when the crowd brings you back for an encore. Track six, "The Really Loud One", really is. The closing track is "Shoegaze", and you can imagine it played by the band standing in one place and staring at their shoes. Astro Children are Millie Lovelock (also of Dunedin band Trick Mammoth) and Isaac Hickey. Lick My Spaceship is available at the Bandcamp link below in limited edition physical form or for $7 (US) as a digital download only. We wrote about the self-titled debut from Free Time recently. The New York area band has published a video for album track "Just On". Rather than hire a professional camera crew, they outfitted themselves with Go Pro cameras and filmed a bit of their day. Enjoy! If you seek something utterly engaging, new and different yet anchored to something familiar, you are directed to seek out the self-titled debut of Palms, an L.A.-based quartet consisting of Deftones vocalist Chino Moreno and former Isis members Bryant Clifford Meyer (guitars, keyboards), Jeff Caxide (bass, keyboards), and Aaron Harris (drums, electronics). It's got a big, almost overwhelming sound and doesn't fit neatly in any of your usual genres. The rhythm section is booming, and blends with the synths to supply almost all the sound sometimes, and at all times it supplies a strong underpinning to the music. At different times Meyer's beautiful, almost crystalline guitar tones are out front, or they share the spotlight with Moreno's majestic vocals. In a way, I'm reminded of an old favorite, Bad Brains - the pace is obviously different, as Palms' songs are much more slowly paced and certainly more atmospheric. But to me, there are similarities: the fullness of their sound, the sound of some of Meyer's guitar tones and certainly the way Moreno's vocals are treated, do remind me of Dr. Know and H.R. And Bad Brains was another genre-busting act with a history of playing different kinds of music that sounded exactly like nobody but themselves. The album consists of six songs, the shortest of which is the 5:44 "Tropics" and the longest the 10:00 "Mission Sunset". The first song, "Future Warrior", is all L.A. - in fact, the beginning of it is a bit reminiscent of the Wang Chung soundtrack to "To Live And Die in LA". And running short of adjectives to describe this record, I'd add in "expansive" and "cinematic" - maybe that is a function of them being residents of Tinsel Town, but whatever it is, this is certainly an album you can get lost in. It's out now (June 25) on Ipecac Records. Melbourne dream pop band Snakadaktal will be releasing their new album, Sleep in the Water, on August 2 via Australian label Liberation. Two of the tracks, "Ghost" and "Hung On Tight" now have been released. You can stream both of them below, and we also have included the video for "Ghost". We first wrote about Snakadaktal in January to highlight their excellent four-track Dance Bear single for London's Young and Lost Club (link here). "Ghost" is a mellow, dreamy trip with female vocals teasing over a slow but playful arrangement. "Hung on Tight" has a faster tempo and a more urgent atmosphere. I anticipate that Sleep in the Water will be very good. The band will be touring in July and August in support of the album, but our Europe and US readers would have to travel, as all dates are in Australia. NEW SONG: Eyes And No Eyes - "If No One Else Saw It" b/w "Flying Machine"
Eyes and No Eyes is a London-based folk rock band with an engaging sound - on these songs they feature an almost delicate sound, mostly acoustic at start but building with drums, guitars and strings to a bit of a crescendo, before being consumed by, in their words "an Italian tape echo unit named Melos". They apparently met at art school in Brighton, so yeah, they're creative. And talented. And here's "Flying Machine", which starts quietly, this time with electronics behind the vocal, to which they add strings and rock sounds about 1:30 in. They've got a full album out soon, but these two tracks are available now, for "name your price" - you can click through either of the Bandcamp tracks above to get it, or order a special edition vinyl. The group consists of Tristram Bawtree on vocals and guitar, Becca Mears on cello, Thomas Heather on drums and Marcus Hamblett on bass. They are also working on an electronic side project EP exploring the extinction of birds, fish, languages and technology. The EP is more in the conceptual tradition of Matmos and Kraftwerk, using keyboards, drum machines, found sounds and samples. Hospital Garden is a Chicago hard rock band. They have an aggressive approach, a heavy rhythm section, and wailing guitars with feedback, and two good rock vocalists - one male, one female. The group consists of Lucas Hollow on guitar and vocals, Sarah Carey on bass and vocals and Erik Rasmussen on drums. In their music there are echoes of a lot of good indie rock bands (Sebadoh, Eleventh Dream Day, Pixies, to name a few that I hear). 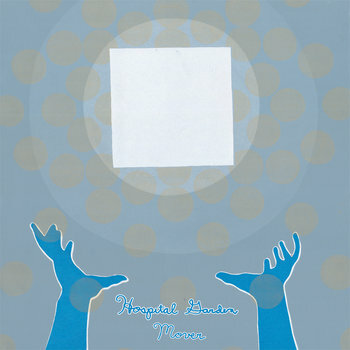 Mover was released a few weeks ago (May 21) on Forge Again Records. 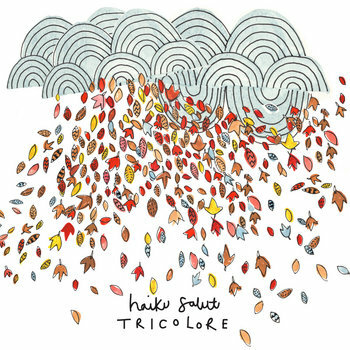 Haiku Salut constructs instrumental indie pop from classical, folk, electronic and experimental elements. And I urge you not to reject sampling the charms of their LP, Tricolore, even if some of those elements are not found among your usual musical fare. This is music played with intelligence, passion, craft and wit. The players are capable of noodling on small scale, and blasting with wide-screen cinematic grandeur. Without the need for lyrics they can convey love, confusion and sadness. Well, they do have an assist with song titles such as "Sounds Like There's A Pacman Crunching Away At Your Heart" (ouch, I've been there). Instrumentation includes pianos, glockenspiels, accordions, ukuleles, and electronics. One of the revelations is how well the electronic contributions mesh with and complement the more traditional instruments, while adding an element of playfulness. Tricolore is a promising debut from an inventive band, and I expect we will hear more good things from them in the future. The group consists of Gemma Barkerwood, Sophie Barkerwood and Louise Croft, and are based in Derbyshire. They also had the assistance of other musicians in making Tricolore. The album is released by the How Does It Feel To Be Loved label, and is available in vinyl, CD and digital formats from the Bandcamp link below. And by the way, the band is too kind to leave us adrift as to the pronunciation of their name, so their have guided us on their website. Repeat after me: High-coo Sa-loo. Alive Natural Sound Records continues to reissue music I thought had been lost forever. Today's release is the Swamp Dogg (reviewed by WYMA here, there and everywhere) produced Raw Spitt by Charlie Whitehead. Swamp Dogg's acerbic wit and naked irreverence made it difficult for any of his productions to gain airplay on black radio stations, let alone on the mainstream airways. 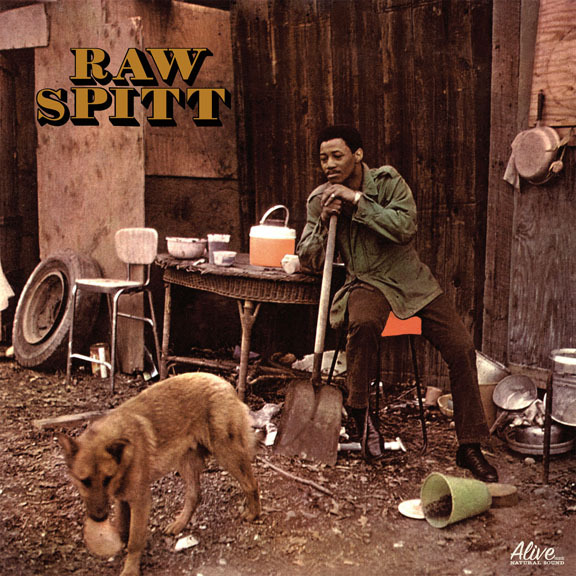 "Offbeat" called Charlie Whitehead (aka Raw Spitt) "The greatest unknown soul artist of all time." The term "greatest" is overused in music and generally is a warning that a major hype is about to take place. Most of the time the artist is neither great nor unknown. Too often the reason the artist is unknown is because they are, at best, competent, not great. Charlie Whitehead is both great and unknown. His time in the spotlight was so ephemeral that he cannot be considered as merely "forgotten." I remember a drive from the North to Florida where I was treated to an AM rendition of two songs: "I Dig Black Girls" and "Call me Ni***r." Both featured a great tenor voice, classic Southern Soul horn arrangement, gospel backup, and a loopy keyboard backup which sounded like Booker T on acid. It was played on WDIA - the classic soul station in Memphis. WDIA's 50.000 watts of clear channel was my early morning go to for the latest in Southern and Country Soul. I would get to hear the latest from Stax first on WDIA. I never could find out who recorded these songs. I would walk into record stores and be greeted with incredulity when I described the subject matter or my "remembered" titles of the songs. I had forgotten about these songs until I was treated to an advance copy of Raw Spitt. I was immediately taken back over 40 years in the Soul Time Machine. Classic southern soul with tinged by the Dogg's sociopathic distrust of mainstream society. It stands the test of time. The original recording has been remastered and expanded to include 5 new songs. Here is one of the songs I heard while screaming through the hills of Kentucky in the Spring of 1971. Here's another with Charlie and the Swamp Dogg Band featuring the Swamp Dogg Horns. Robert Calvin Bland, better known as Bobby "Blue" Bland, died Sunday at the age of 83. The loss of Bland and George Jones in such a short span leaves a gaping hole where the great singers used to be. Bobby Blue Bland was one of the all-time best R&B vocalists, with a voice that could move on a dime from silky smooth to powerful, and convey an entire emotional life of hard knocks in a single line. Frequently compared to Frank Sinatra, Bland was a singer's singer, with impeccable tone and timing. Van Morrison frequently cites Bobby Blue Bland as one of his favorite singers and biggest influences. Bland was born in Tennessee but moved to Memphis with his family at an early age and got his start there. He paid some serious dues on his way up, serving as a driver and aide to Junior Parker and BB King. BB King though remained very loyal to his protege and the two frequently performed together when King made it big. You probably haven't heard much about Kingdom of Wires by Kevin Harper, and that doesn't reflect well on the music press (including me, given that the album was released on March 18). Ranging from indie rock to crunchy power pop to southern rock to country-inflected guitar pop, this album could be one of the best "American" rock albums of the year, even though it is from Glasgow. I listened to it a few times when I got it, and liked it a lot. I listened to it this week and revised my initial opinion upward several levels. Quite simply, Mr. Harper is an excellent songwriter, and a very good performer. I was fan of his prior work as the frontman for Scottish band Little Eskimos, but the growth from that project to this one is extraordinary. You can test it for yourself with tracks one and two, below. One of the many enjoyable attributes of the album is that Harper maintains a fast tempo for most of the tracks, allowing the listener the illusion of a live performance. And it is quite clear that he loves the sound of electric guitars, which puts him in our camp from the beginning. But the results are no less enjoyable when he dials back to mid-tempo, as with track six, "I Was A Sailor", "Oxygen" or "Majorette". The guitars ring and soar, the vocals tell sincere tales, the rhythm section drives it all along. This, ladies and gentlemen, is American rock and roll...um...from Glasgow. It has my high recommendation. The album is out now, and can be sourced at the Bandcamp link below. Time for all of you to consider your fashion for the summer. Do you have the right clothes? The right shoes? The current swimwear? Well, that's all fine, but don't ignore the right tunes. Scholarly research shows that people with the wrong music are 38.65 percent lonelier that people with the right music. Does this little talk make you insecure? Don't worry -- When You Motor Away is here to help. What you need for the summer is a collection of reggae party hits. You need fashionable, stylish tunes. You need Fashion in Fine Style Significant Hits Volume 2. Fashion Records was one of the best UK reggae labels in the '80s and '90s, releasing high quality songs by top talent. Now, Fashion Records and Reggae Archive Records have teamed up to package 20 of the best gems from Fashion's vaults in Fashion in Fine Style Significant Hits Volume 2. In addition to the quality on display, the collection is notable for its range of reggae styles, covering lovers rock, dancehall and DJ, and remastered for this album. The great reggae vocalists are represented by Horace Andy, Johnnie Clarke, and Junior Delgado. Lover's rock stars include Janet Lee Davis and Michael Gordon. 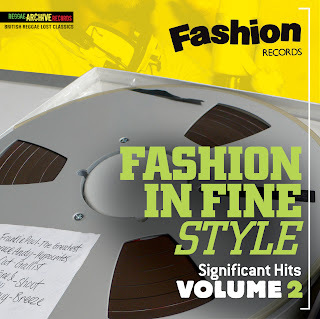 Of course, a reggae compilation covering the period in which Fashion Records was active includes dancehall selections, and Top Cat and Papa San are among the contributors. And Cutty Ranks offer the jungle/dancehall classic "Limb by Limb". Fashion in Fine Style Significant Hits Volume 2 was released on June 17. The name of this Scottish trio may be Poor Things, but I wouldn't bother to feel sorry for them. As revealed on their new EP, Hurricane Poor Things, these guys seem to have a lot going for them. Specifically, these guys can pump out a slightly grungy version of power pop (or, if you prefer, a bubblegum version of garage rock) that sounds fresh while it hints at influences such at Teenage Fanclub, Smashing Pumpkins and Pavement. Try them out on opening track "Beachcomber" and closing track "Ice Cream" (which is a free download, I believe). And I assure you that the three tracks that span the gap are just as worthy; in fact, I just added "Morgan" and "Summer Clutch" to a playlist I was making. You can stream and buy a digital download of the EP at the Bandcamp link below. This is a highly recommended little summer nugget. Poor Things are Craig Angus (Guitar, Vocals), Richard Stratton (Bass, Guitar, Vocals) and Gavin Redford (Drums). Hurricane Poor Things was released on June 10 on Vinyl Richie Records. This blog has championed New Zealand's The Eversons on several occasions. They are a very good, and very funny guitar pop band whose music is released on Auckland's Lil' Chief Records. 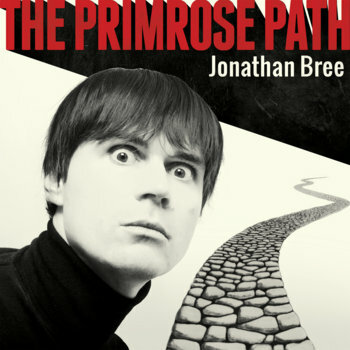 Now we bring you The Primrose Path, which is the product of one of the men behind Lil' Chief Records, Jonathan Bree. While Bree is no stranger to the performance end of the recording studio, with four albums and four EPs with The Brunettes in his resume, this album is his first solo effort. The style is orchestral pop, but it doesn't seem to be one of those "happy happy, birds singing in the trees and we're going to live happily ever after" kind of orchestral pop albums. Bree chooses to look at life as an adult, and a realist, and doesn't shy away for the insecurities, disappointments and struggles. But at the hands of a pop craftsman, it emerges as a compelling listen and, I would expect, a personal triumph for Bree. Oh, and I should mention that if you are the type satisfied with digital downloads, it is available for "name your price". To provide a touchstone, I'll suggest that the best songs on this album will remind you of tracks for 69 Love Songs, by The Magnetic Fields, and that, my friends, is a desert island disc. The Primrose Path is out now. Explore for yourself at the Bandcamp link. Lay a few coins on Mr. Bree and be the first in you circle to own a bit of excellence from this southern hemisphere pro.